Tauck has announced the names of the two new Inspiration Class riverboats that will join its fleet next year, and the new vessels will be christened the ms Grace and the ms Joy. 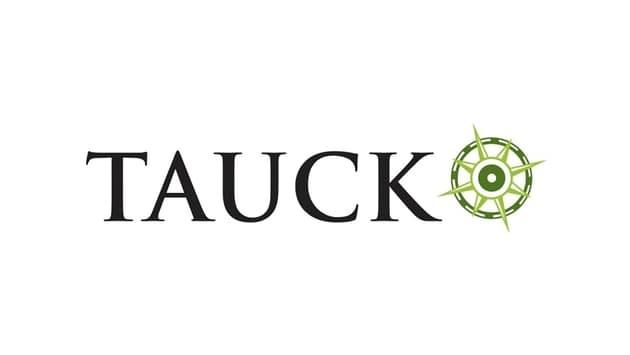 The names were selected from a pool of nearly 400 entries submitted by Tauck employees during a company-sponsored naming contest conducted last fall. Next year’s launch of the ms Grace and ms Joy will bring the Tauck riverboat fleet to a total of nine vessels, representing a 125% expansion of the company’s capacity in a two-year period. In 2013 the Tauck fleet consisted of four Jewel Class ships, the ms Treasures, ms Swiss Jewel, ms Swiss Sapphire, and ms Swiss Emerald. In 2014 Tauck launched its first two Inspiration Class ships, the ms Inspire and ms Savor, and a fifth Jewel Class ship, the ms Esprit, is set to join Tauck’s fleet this spring. Like Tauck’s other Inspiration Class ships, the new ms Grace and ms Joy will carry far fewer passengers – yet they’ll have far more service staff – than ships of the same size operated by other river cruise lines. Where the 443-foot-long Inspiration Class ships carry just 130 guests, other lines’ ships of the same length carry 190 passengers, or 46% more guests. And where other lines have just one cruise director to tend to the needs of those 190 guests, Tauck staffs each ship with a Tauck Cruise Director and three professional Tauck Directors to care for 130 guests. With fewer passengers aboard their ships, Tauck is able to provide a more intimate, club-like atmosphere, a higher percentage of suites, and a second onboard dining venue, Arthur’s, with its own dedicated kitchen. Named for company Chairman Arthur Tauck Jr., Arthur’s offers more casual dining in a more intimate setting, providing an alternative to the fine dining found in the ship’s main dining room, the Compass Rose. Also notable on the Grace and Joy will be eight “loft” cabins located on each ship’s lower (Emerald) deck. On other European riverboats the lower-level cabins are small, and because they’re mostly below the ships’ waterlines, they’re limited to modest, sealed windows at eye level that admit minimal sunlight and zero fresh air. Tauck’s 225-square-foot loft cabins, however, have a raised platform seating area located against the ships’ hull/outer wall with a correspondingly higher ceiling immediately above. The higher ceiling in turn allows the use of a much taller window than can normally be incorporated into lower-level cabins. The middle portion of this window can be opened electronically for fresh air, and being taller, the window allows far more natural light to fill the cabin. The loft cabin concept was introduced last year on the ms Inspire and ms Savor, and its innovative design has since been honored with a CruiseReport.com Editor’s Choice Award for Best Riverboat Accommodations, and a Magellan Gold Award for cabin design. The ms Grace and ms Joy will each have twenty-two 300 square foot suites furnished with two French balconies with floor-to-ceiling windows, a pull-out couch, roomy walk-in closets with built-in drawers, and a spacious bathroom with rain shower. Along with the suites, the newbuilds also have thirty-two 225 square foot cabins, plus an additional thirteen cabins ranging from 150 to 190 square feet. In keeping with Tauck’s policy of welcoming solo travelers, four of the 150 square foot cabins are set aside for guests traveling on their own. All suites and cabins feature in-room movies, minibar, individual heating and cooling controls, luxury toiletries, and plush bedding with 100% goose down pillows, 400-thread-count linens and pillow-top mattresses. Dates for all of Tauck’s 2016 river cruise departures are now available on the company’s website, www.tauck.com, and travelers can reserve their preferred itinerary and departure risk-free with no cancellation penalties. Guests who make a 2016 reservation will be advised by Tauck once the itinerary and pricing are finalized, and they will then have two weeks to cancel and receive a full refund of their trip deposit and the cost of Tauck’s Travel Protection plan, if purchased.